Note 1: All MSDF students can take the "CDA 6946: Internship" as a 3-credit elective (as one of the two electives in fulfilling the 6-credit non-thesis option). If you want to take the internship course, you must find a semester-long internship position by yourself in the cybersecurity or digital forensics related fields (UCF Information Security Office provides limited unpaid internship, please contact: SIRT@ucf.edu). Once you have secured the internship position, contact Cliff Zou at czou@cs.ucf.edu to register this course. Note 2: All students need to request permission from Ms. Elexis Ritz < elexis.ritz@ucf.edu >, Criminal Justice Graduate Program Advisor, to register for Criminal Justice classes (CCJ or CJE course prefix). There are limited openings for MSDF students in those CCJ/CJE classes, so register early. Note 3: Except CCJ, CJE courses, you can register ANY course in the course list by yourself as long as you are enrolled in the Digital Forensics Master program. The prereqisite described in course catalog are not active in most cases. However, if you are enrolled in the ONLINE MSDF program, you can only register those online courses or online sessions (0V61 or 0W61) of those courses. Note 4: If you are not in Digital Forensics Master program, you can register the required courses or Group A courses only if you have completed either CDA5106(Advanced Computer Architecture I) or COT5405 (Design and Analysis of Algorithms). The MSDF degree program requires 30 credit hours of which at least half of the course work must be at 6000 level. Note: All students need to request permission from Ms. Elexis Ritz < elexis.ritz@ucf.edu >, Criminal Justice Graduate Program Advisor, to register for Criminal Justice classes (CCJ or CJE course prefix). Students can take alternative Criminal Justice courses as they fit in a student's research interest and are approved by the Graduate Program Coordinator. Take two electives from the list of Restricted Electives above, or take one elective above and "CDA 6946: Internship". CGS 5131, Computer Forensics I. (3 credits) This course covers legal issues regarding seizure and chain of custody, technical issues in acquiring computer evidence, popular computer file systems, and reporting issues in the legal system. CNT 6418, (previously CGS 5132), Computer Forensics II (3 credits) The purpose of this course is to teach the concepts of computer system security models, fundamentals of computer networking and the layered protocol architectures, detection and prevention of intrusion and attack, digital evidence collection and evaluation, and the legal issues involved in computer forensic analysis. CIS 6207, Practice of Digital Forensics. (3 credits) This is a capstone course that allows students to demonstrate the ability to combine all they have learned. Students will work on several case studies that require them to apply the knowledge and skills they have acquired to practical assignments. CAP 6133, Advanced Topics in Computer Security and Computer Forensics (3 credits) Advanced topics in computer security and forensics such as cryptography, automatic intrusion detection, pattern matching and statistical techniques, firewalls, and vulnerability scanning. 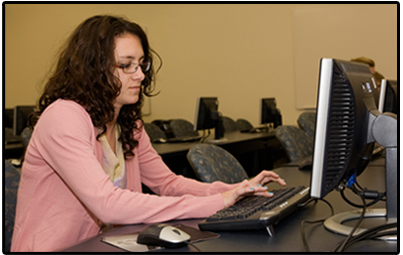 CNT 6519, Wireless Security and Forensics (3 credits) This course provides advanced study for those students with an interest in areas such as wireless computer security, security management, cryptography, computer forensics, and related areas. CAP 6135, Malware and Software Vulnerability Analysis (3 credits) Analysis of malicious code including viruses, worms, Trojans, and buffer overflow vulnerabilities encountered in software packages. CIS 6395, Incident Response Technologies. (3 credits) An advanced course covering topics related to computer incidents and intrusion response. CIS 6386, Operating System and File Systems Forensics. (3 credits) The course will provide students with a practical understanding of the fundamental procedures required to correctly conduct digital forensics on Windows, Linux, and Macintosh operating systems, file systems, and associated applications. EEE 6347, Trustworthy Hardware (3 credits)Introduce the concept of trustworthy hardware. Review scientific publications in the area of trustworthy hardware. Design, analyze, and evaluate trustworthy embedded systems. CHS 5504, (prevously CHS 5503), Topics in Forensic Science. (3 credits) Topics in Forensic Science will include the history of forensic science, basic forensic science principles as applied in various forensic specialties, current issues in digital evidence, and professionalism. CHS 5596, The Forensic Expert in the Courtroom. (3 credits) A study of the uses of technically- and scientifically-trained expert witnesses at trial. CHS 5518, Forensic Examination of Digital Evidence. (3 credits) This course will cover the nature of digital evidence collection and examination under the constraints of law and courtroom procedures. PLA 5587 Current Issues in Cyberlaw. (3 credits) Advanced examination and discussion of free speech, copyright, trademark, patent and privacy issues in the online environment through interactive class discussions, online discussions, postings, case study reviews, and legal research projects. CCJ 6074, Investigative and Intelligence Analysis, Theory and Methods. (3 credits) This course is designed to familiarize the student with the complex analytical techniques and procedures used to support criminal investigations and criminal intelligence efforts. CCJ 6706, Quantitative Methods and Computer Utilization in Criminal Justice. (3 credits) Application of statistical software to quantitative and qualitative methods in Criminal Justice. CJE 6688, Cybercrime and Criminal Justice. (3 credits) Deals with the problem of cyber crime and the criminal use of the Internet. Includes investigation, enforcement and legal issues. ESI 5219 Engineering Statistics. (3 credits) Discrete and continuous probability distributions, hypothesis testing, regression, nonparametric statistics, and ANOVA. All enrolled students must submit the initial POS form by the end of the student's second major term (based on full-time enrollment) and must be on file by the end of the term prior to the term of expected graduation. When any course plan changes, the student needs to re-submit a revised POS form. The form needs to be signed by Program Coordinator. A student who wants to register the "Graduate Internship" class must fill out the following Special Request Form, signed by Program Coordinator, and then submit to College's Academic Afair Office in Eng1-107, in order to register the internship class. If a student cannot online register a class due to lack of prerequisite or restriction, the student could possibly get permission from the instructor, then he or she needs to fill out the following course override form, signed by Program Coordinator, and then submit to College's Academic Afair Office in Eng1-107, in order to register the class.